I've been a trail user for years, hiking, biking and skiing trails across the nation. Over the years I've seen many good and bad examples of trail design and building. Now thanks to the International Mountain Bicycling Association, I have some formal training in how trails should be built and maintained. The IMBA Trailbuilding School rolled through Santa Fe and provided a day of indoor education and outdoor application of trail maintenance techniques. Harvest festivals have existed for thousands of years, probably as long as farming has. A successful crop harvest is plenty of reason for celebration. While Thanksgiving in the United States is held on the fourth Thursday in November, the fall harvest usually happens much earlier. 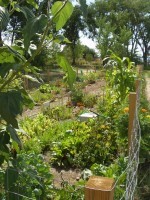 The Santa Fe Community Garden in the Railyard held their harvest festival in mid-October. The gardeners celebrated both their veggie harvest and the first year of community gardening in the Railyard. Power From the Sun ... and Donuts! Powdered donuts could be key to affordable, renewable power! 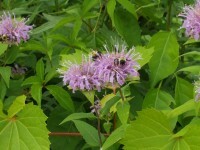 What: Native Plant Day, promoted by the Native Plant Society of New Mexico. Fairtrade, 100% Organic, All Natural, Salmon Safe, CSA Sustainable Forest Management. All of those sound great and are the sort of labels that many of us look for on the food and other products we buy. But, what do all of those labels REALLY mean? Food labeled USDA Organic is produced without using most conventional pesticides; fertilizers made with synthetic ingredients or sewage sludge; bioengineering; or ionizing radiation. 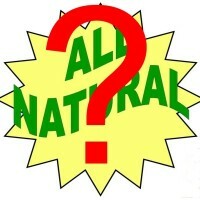 On the other hand, a, 'All Natural' label doesn't mean much at all. After our tour of National Parks last fall it's good to be reminded that good things come in small packages. We visited friends and relatives in Madison, Wisconsin and among all the usual vacation fun we checked out a local conservation park. Throughout Madison are 14 conservation parks, totaling over 1600 acres, dedicated to preserving native plant and animal life in the metro area. Our 8 year old guide showed us there was plenty of fun to be had, even without a swingset. Here are a few images from the Owen Conservation Park in Madison, WI. What holds more promise (for a gardener, anyway) than a tray full of seedlings? Our average last frost-free date is 9 days away and I am getting ready to harden off a tray full of seedlings that we started about 3 weeks ago. We are trying everything from arugula to kale, broccoli to tomatillos, and basil to fennel. This tray full of bright green baby plants reminds me of grade school science classes and egg cartons sprouting bean plants. What are you planting in your garden this season?